After a brief hiatus i'm happy to announce my new release on Subspec Recordings featuring none other than Bryan Zentz on remix duties. Bryan has been a long time friend and constant inspiration so having him on board for this release is truly "full circle" for me. 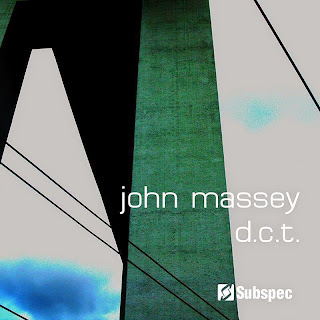 John Massey returns to Subspec with two brand new, exclusive tracks in his propulsive signature style. D.C.T. and I.S.T. are straight forward studies of punchy percussion riding on a river of bass. Making it a full Pacific Northwest Techno connection Portland’s veteran producer Bryan Zentz rounds things out with a stomping turn toward the dark with his ‘Death Comes Tomorrow’ remix of the title track. All three cuts are grade A grooves for the most demanding sets.